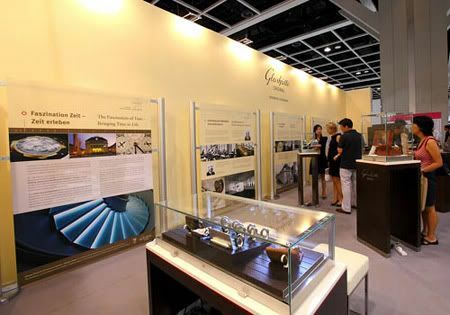 Glash?É¬ºtte Original took part in the international ART HK 09 fair in Hong Kong, by presenting a nice selection of timepieces?Ç¬ and watchmaking demonstrations to the visitors. This year’s ART HK09 fair attracted more than 27.000 visitors. Click here to go to the official pictorial review by Glash?É¬ºtte Original. Glash?É¬ºtte Original presented a number of pocket watches, pilot watches, chronographs, historical wristwatches, and historic watchmaking tools. This all together represented more than 160 years of continuous creation and development.